Judy Levenson is a partner with Brody, Hardoon, Perkins and Kesten, LLP. She has appeared extensively in state and federal courts, both in trial and in appellate matters. She also has substantial experience successfully representing clients before government agencies such as the Massachusetts Commission Against Discrimination (MCAD), the Massachusetts Department of Elementary and Secondary Education (DESE), the U.S. Office for Civil Rights, the U.S. Equal Opportunity Commission and the Massachusetts State Ethics Commission. A significant portion of her practice involves representing municipalities, state and local government employees and elected officials, and school districts. Judy brings to her work more than thirty-five years of experience practicing law in the areas of civil rights, employment law, school and education law, ethics law, municipal law and litigation. 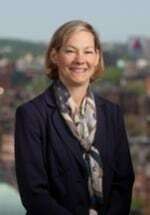 She previously worked as a Massachusetts Assistant Attorney General in both the Office's Civil Rights Division and its Administrative Law Division, as General Counsel to the State Ethics Commission and as a Hearing Officer-Consultant to the Massachusetts Board of Education. Once an employer or school receives a report of alleged sexual harassment, discrimination and/or bullying, it should promptly launch an investigation into the complaint. The MCAD requires that such investigations be conducted even if the complaining party has filed a lawsuit. Through Judy's government and private sector work, she has gained a wealth of experience conducting investigations of public and private employers, schools, housing providers and individuals concerning claims of discrimination, harassment, sexual misconduct, bullying, retaliation and Title IX violations. She is highly skilled at making findings of fact, writing thorough and well-documented reports of the results of investigations and recommending remedial measures. Judy is included on the MCAD's referral list for trained investigators, having completed MCAD's certified courses for investigating discrimination complaints and for preventing workplace discrimination and harassment. Additionally, Judy is certified by the National Center for Campus Public Safety (NCCPS) to conduct trauma-informed investigations and adjudications of sexual abuse and harassment complaints. Judy's experiences as a litigator inform her desire to assist clients in performing prompt, thorough and complete investigations and trainings in order to avoid costly, time-consuming and disruptive litigation. As a result of her extensive government and private practice experiences, Judy also is experienced serving as an impartial fact-finder/hearing officer in adjudicatory proceedings. The MCAD requires that all employers provide their employees with training about sexual harassment at the beginning of their employment and in refresher trainings every few years. Such training may prevent improper behavior and can serve as an important defense if a claim of harassment or discrimination is filed. Additionally, specialized training can be provided in response to a specific incident. Recognizing the importance of training as both a preventive and remedial measure, Judy provides customized training on state and federal anti-discrimination and anti-harassment laws, anti-bullying laws, ethics laws, school laws and related best practices. She is on the MCAD's referral list for trained trainers, having completed MCAD's certified course for trainers to prevent workplace discrimination and harassment. BHPK's ethics practice draws on Judy's unique perspective as former General Counsel to the State Ethics Commission and as a former Assistant Attorney General. She provides unparalleled experience providing conflicts of interest legal opinions, representing government clients in Commission investigations, representing clients in public hearings before the Commission and litigating ethics issues in both trial and appellate courts, in order to help our clients achieve the best possible results. Additionally, Judy is skilled at investigating complaints about ethics law violations and providing trainings about state conflict of interest law requirements. Judy was a lecturer on law at Boston University School of Law where she developed and taught a course on Appellate Practice and Procedure. She also was a Joshua A. Guberman Teaching Fellow at Brandeis University in an Introduction to Law course. Judy graduated, phi beta kappa, from Wellesley College; has a Master of City Planning Degree from MIT; and received her law degree from Yale Law School in 1982. Judy is admitted to the bar in Massachusetts, the United States District Court for Massachusetts and the First Circuit Court of Appeals. She is a member of the Massachusetts Bar Association and has served on its Public Law Section Council, its Civil Rights & Social Justice Section and its Education Practice Group. She also is a member of the Boston Bar Association and its Civil Rights and Civil Liberties Section. Additionally, she is a member of the Association of Sexual Misconduct and Discrimination Investigators (ASDI). Judy has been named a Massachusetts Super Lawyer and has been included in the Super Lawyers Women's Edition every year since 2014. Judy is a member of the Board of Overseers of the Brookline Education Foundation and previously served on its Board of Directors. She serves as a mentor to a Brookline High School student through the Steps to Success College Success Initiative. Additionally, she was a member of the Brookline Selectmen's 2013 Committee on Diversity, Inclusion and Community Relations. Judy was an Advisory Group Member to the Brookline Educational Equity Project during 2005. From 2011 through 2013, she served as a member of the Board of Advisors to South Africa Partners. She also served for fourteen years as a Trustee of the Charles H. Farnsworth House in Jamaica Plain, MA (a non-profit housing corporation for elderly and disabled individuals). Judy served for several years as a volunteer hearing committee member for the Massachusetts Board of Bar Overseers and on the BBO's pro bono panel. She has served as a pro bono attorney with Kids in Need of Defense (KIND) since 2017.